Benjamin Bogart studied at Boston University and received a Bachelor of Science in Mechanical Engineering with a concentration in Business. Prior to joining ICR-ICC, he was the head of the production department at a California-based company building state-of-the-art manufacturing equipment. 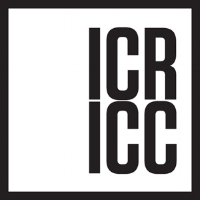 Ben’s keen business skills have been put to good use as ICR-ICC’s Assistant Business Manager. As a project manager for ICC, Ben provides day-to-day project coordination and management services. In his time with ICR-ICC, Ben has been involved in many exciting projects, including the restoration of Trinity Church Wall Street, the exterior restoration of St. Augustine Church, and the stabilization of select mausoleums at Green-Wood Cemetery.